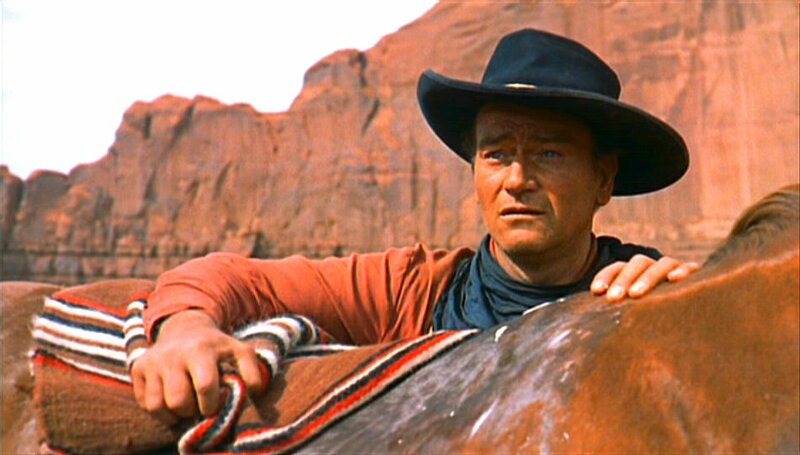 My wife said I majored in cowboy movies in college. She might be right. Here are a few of my favorite films. 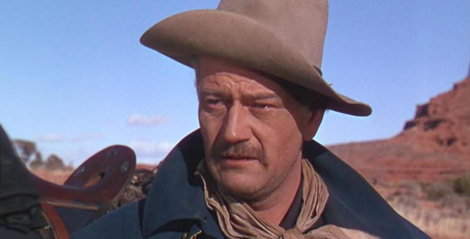 John Ford’s 1939 film Stagecoach introduces the Ringo Kid, played by a young John Wayne in a film about intolerance and redemption. 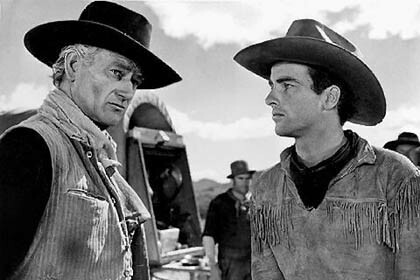 Howard Hawk’s Red River may be responsible for the rebellion of an entire generation as Montgomery Clift’s character has to wrest the reigns of power from Tom Dunson, played by an older John Wayne, when it becomes obvious that he is unfit and making too many wrong decisions. 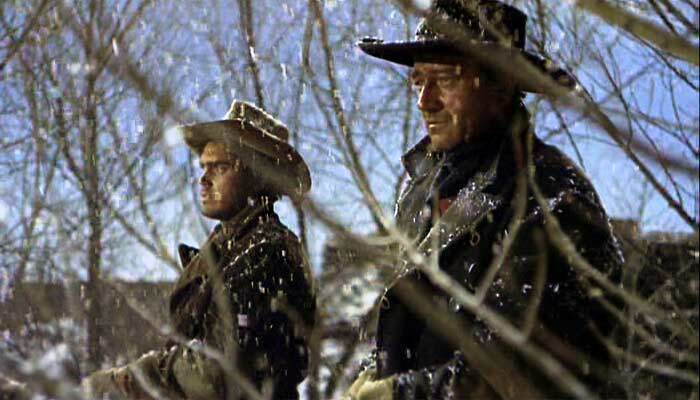 Sam Peckinpah’s Ride The High Country pits Randolph Scott and Joel McRae as two aging gunman who go into the high country to bring down a shipment of gold. As they travel, one tries to talk the other into stealing the gold, arguing they have gotten nothing out of a long career of honesty and lawful deeds. Just as this morality play is set in motion, they are confronted by another situation where law and justice are not the same thing. 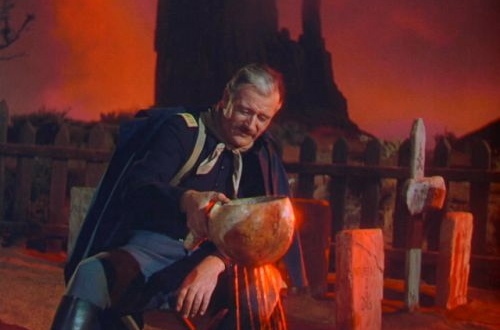 On the surface, John Ford’s masterpiece might deceive you. 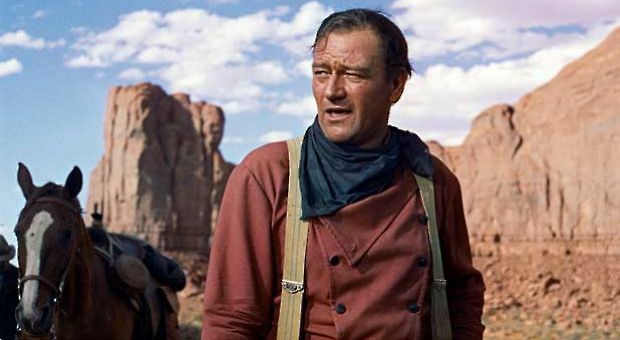 People are often disturbed by the film because the character of Ethan Edwards, played by John Wayne, is charismatic and has heroic traits–but he is not the moral hero of the film. In fact he does things that are clearly not honorable. Despite his knowledge and skill, revenge is his only goal. His motivation becomes clear if you watch the opening scenes carefully and a later scene where the camera zooms in on a close-up of his face says it all. 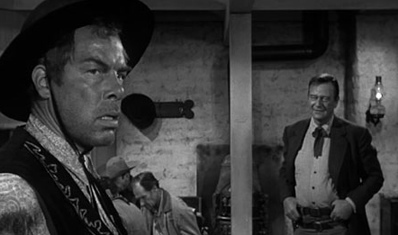 Another John Ford classic, The Man Who Shot Liberty Valance has Lee Marvin playing the title character of Liberty Valance leading a life without restraints. 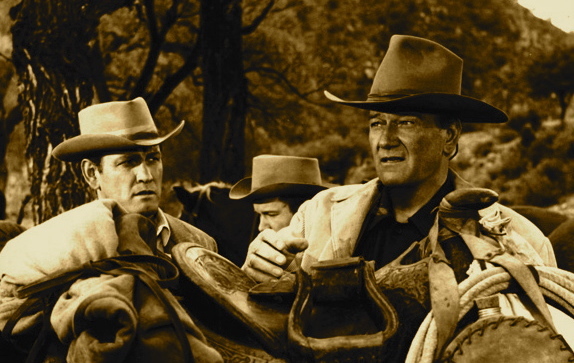 John Wayne and Jimmy Stewart play characters who have competing ways to stop him, but Wayne’s character has to act against his own code, even though he knows that his actions will end his way of life. 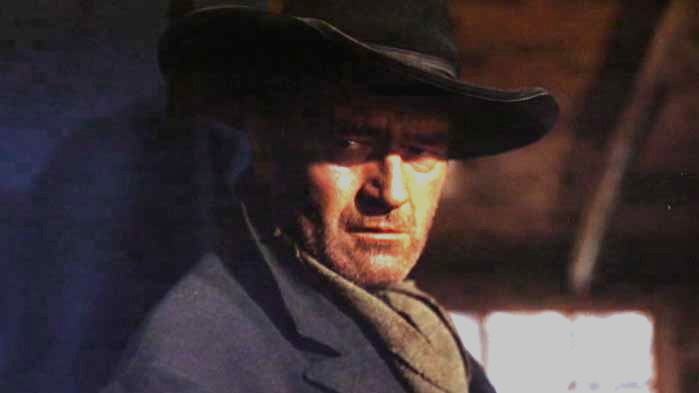 Sergio Leone’s opening film credits of Once Upon a Time in the West last over ten minutes and you know you are watching something different right from the start. Each character has his own theme music, so this might be my favorite musical. 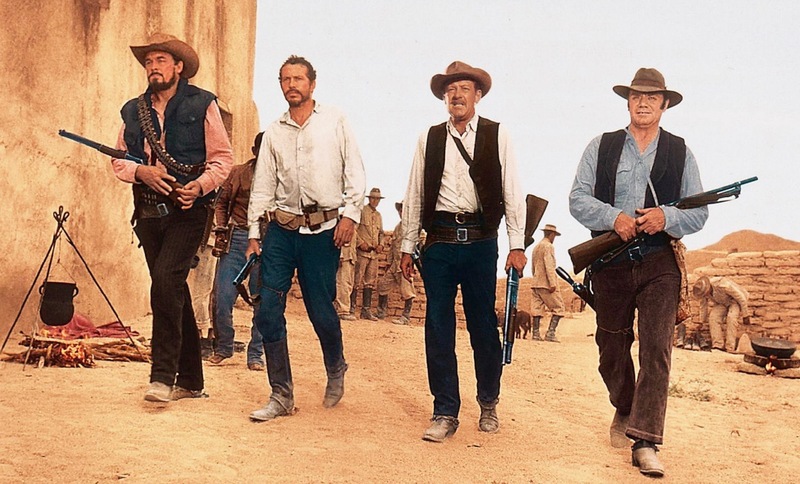 Despite it’s violent reputation and an amazing train hijacking scene, Sam Peckinpah’s The Wild Bunch real themes are loyalty and growing older in a changing world. The final walk the four outlaws make to go back to get their comrade is punctuated by an amazing musical score. 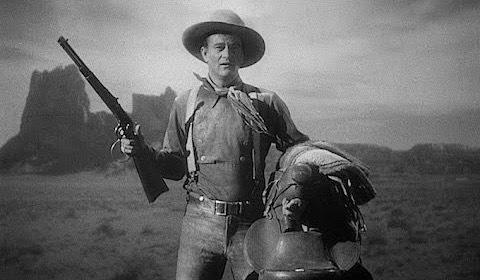 Another scene has the William Holden character, after having been challenged by the younger members as unfit to lead the gang, lifting himself up into his saddle without a stirrup and silently riding out of the frame. 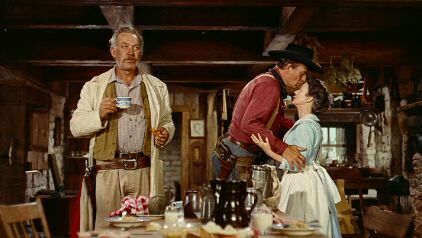 She Wore a Yellow Ribbon is one of John Ford’s cavalry films and my personal favorite. There is a great scene of the troops and their wagons in the desert as lightning fills up the skies in Monument Valley. 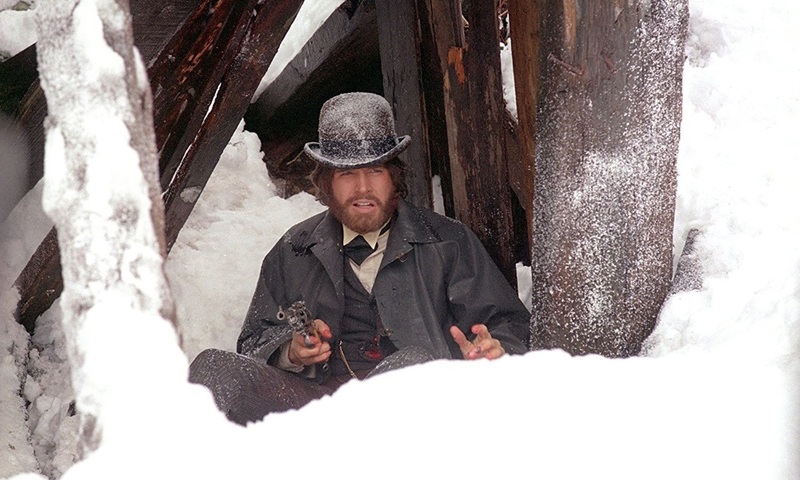 Another favorite is Robert Altman’s film McCabe and Mrs Miller with music by Leonard Cohen. 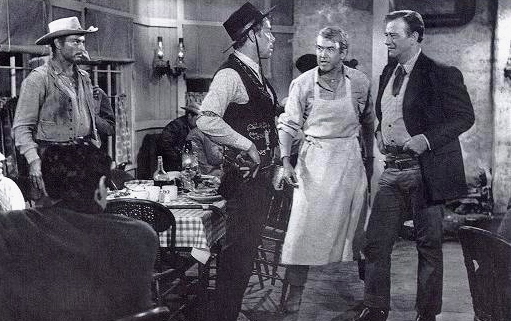 Sam Peckinpah’s film Major Dundee was badly edited by the studio and even after a restoration is still uneven. 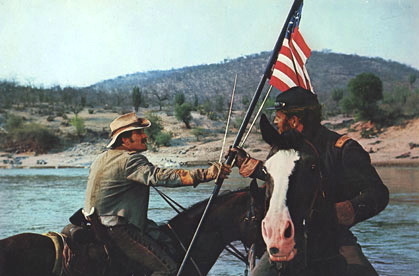 A story of the soured friendship between two stubborn men who went different ways during the Civil War, the film culminates at this bloody river scene where the flag is passed from one man to the other. 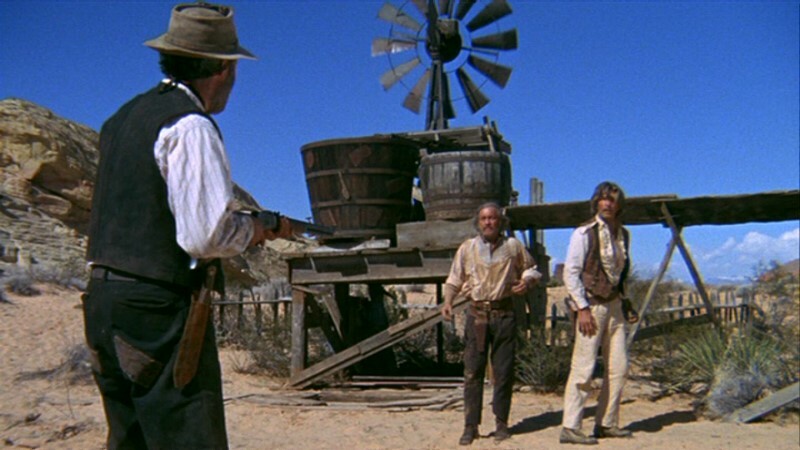 Sam Peckinpah’s film is really about Pat Garrett and the compromises he makes as Sheriff when he is forced to hunt down the man who was his friend. 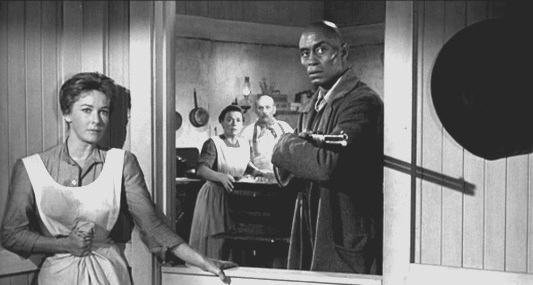 Slim Picken’s death scene by the river is punctuated by the haunting musical score by Bob Dylan which includes Knockin’ on Heaven’s Door. 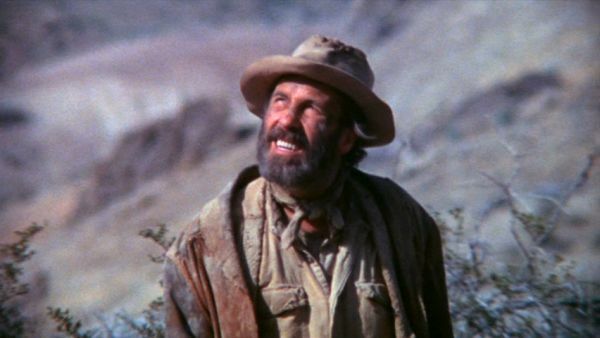 Another film by Sam Peckinpah has Jason Robards in the title role. 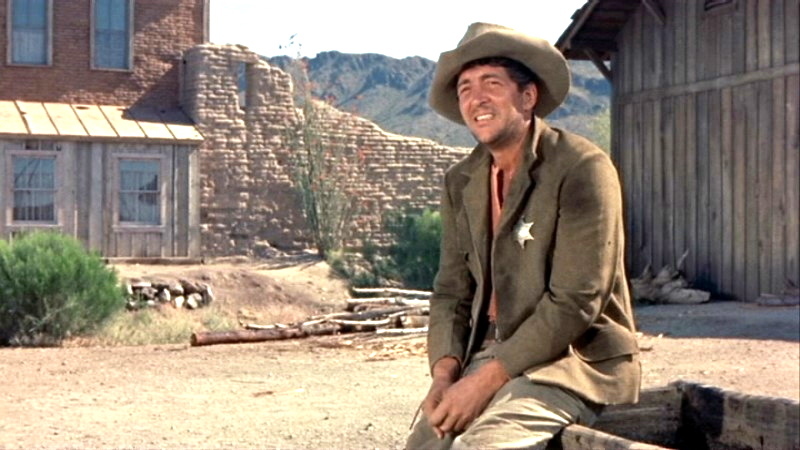 He is abandoned by his partners in the desert during the opening credits and talks to God. First he seeks his own salvation, then revenge. It’s quirky and bawdy and has too many snakes. Clearly Peckinpah was going for something biblical. Kevin Costner is wooden and a little stiff but that suits the character he plays perfectly. He’s naive and eager to do the right thing and who can argue with someone who cleans up all that trash. 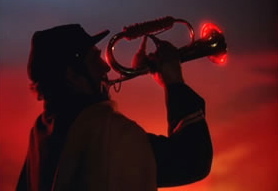 That scene of him riding out onto the prairie with the flag is a beauty. 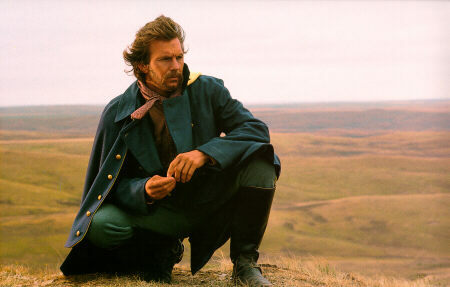 Before Dances With Wolves there was Sydney Pollack’s Jeremiah Johnson. 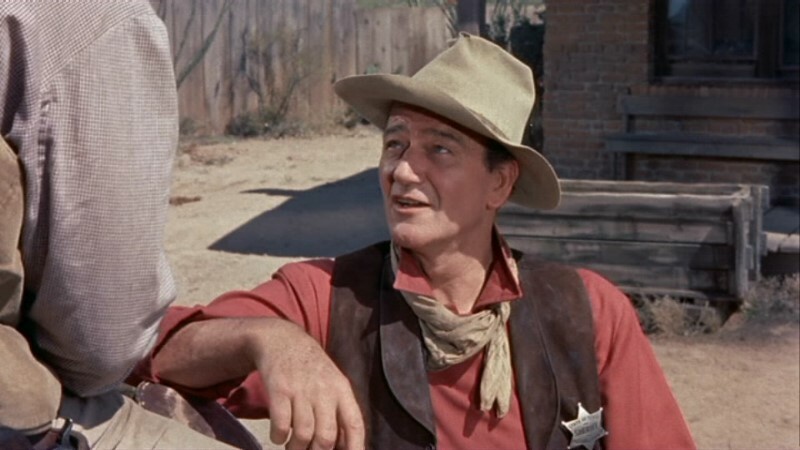 Johnny Cash sang the theme song to The Sons of Katie Elder, but it never appeared in the film. 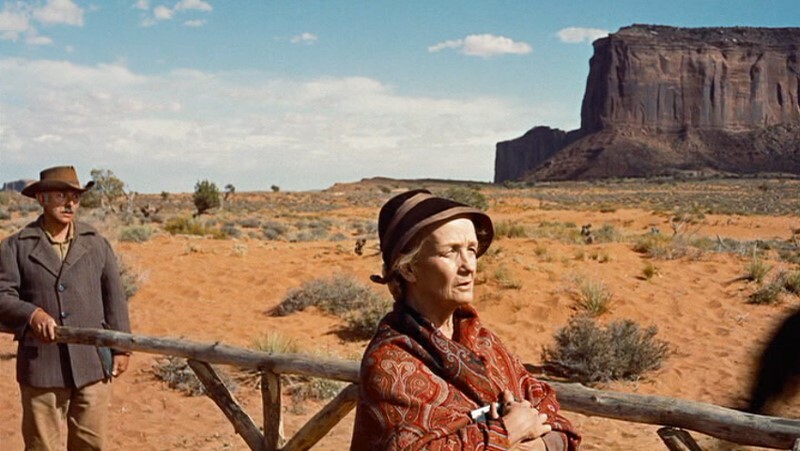 The film has a few goofy moments but the widescreen vistas in full color more than make up for any defects. 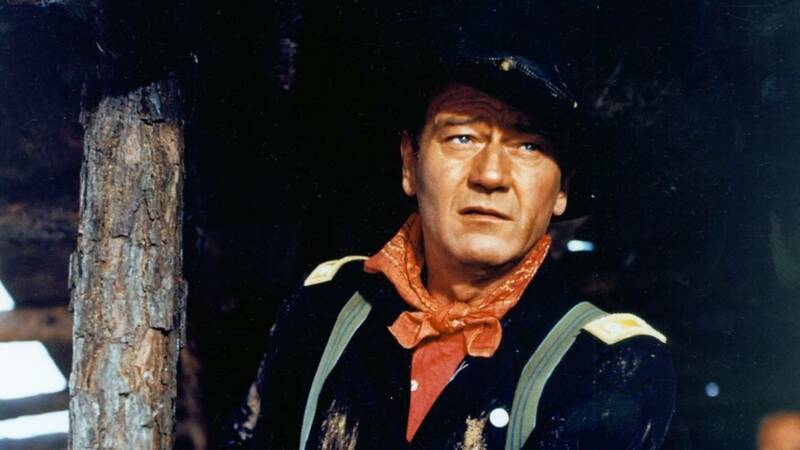 John Ford’s Civil War story The Horse Soldiers stars John Wayne and William Holden in a story about a Union raid into the south to destroy rail and supply lines. 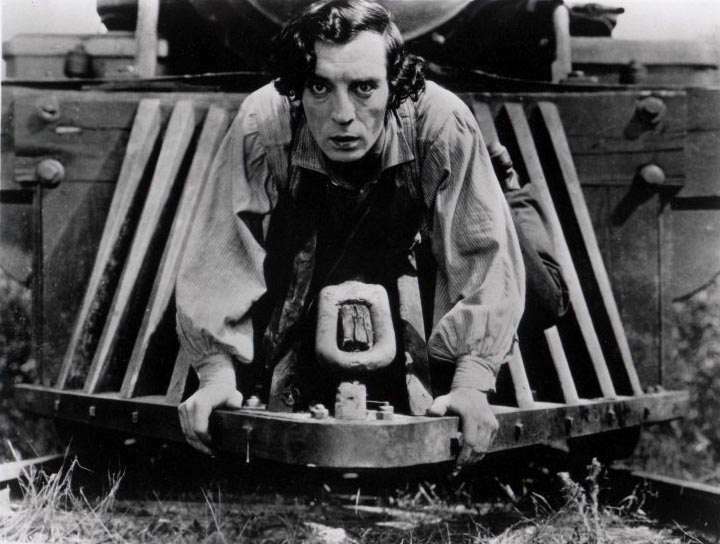 A Buster Keaton silent film from the 1920s, The General is witty, fun and poignant…and the physical comedy of the stunts will amaze you. 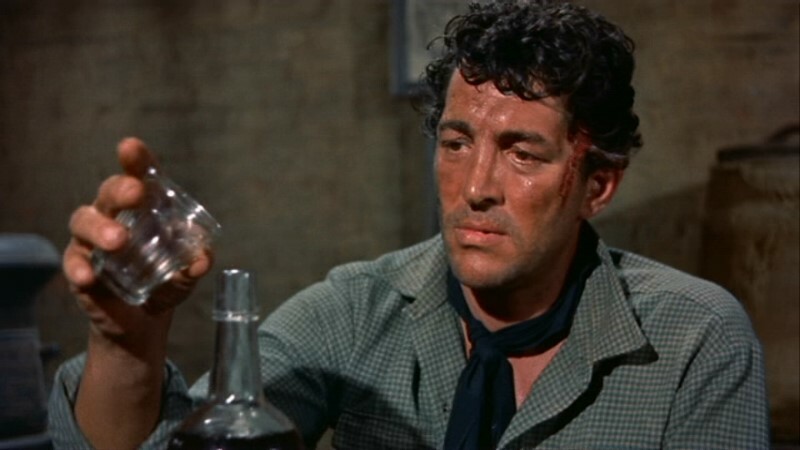 Keaton is rejected when he tries to enlist in the Confederacy, but as the engineer of his train, he single-handedly keeps it from falling into Union hands after they steal it from him in a daring raid. 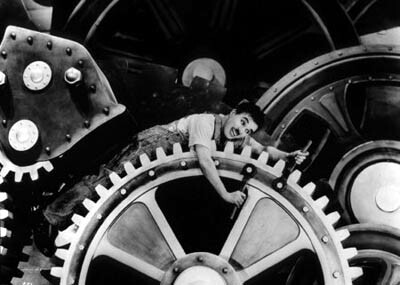 Charlie Chaplin’s Modern Times is a classic. 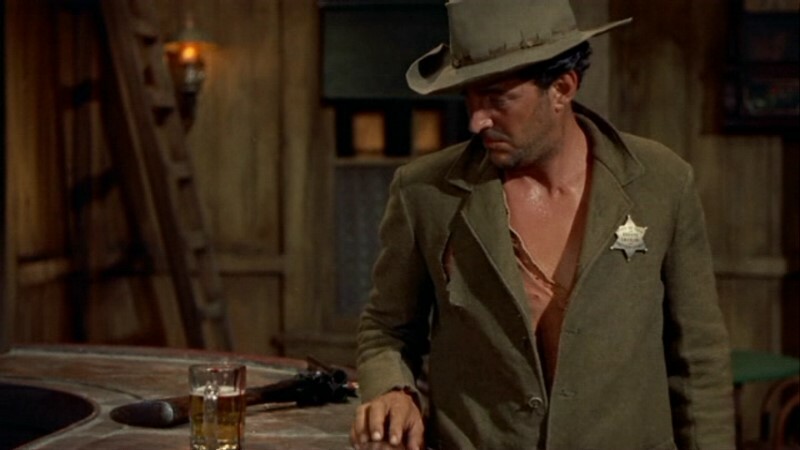 Sam Peckinpah’s film of this rodeo star who is just past his prime is a small gem. 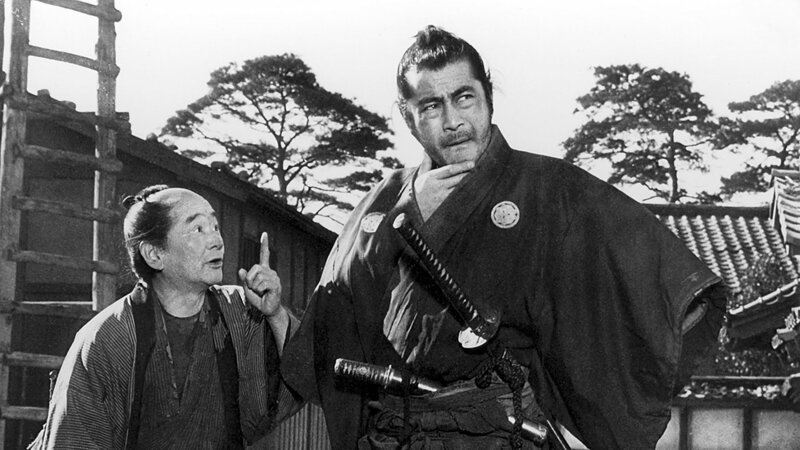 If you can overlook the bar-room brawl scenes, the film’s portrayal of the relationship between father and son shows a lot of heart and soul. 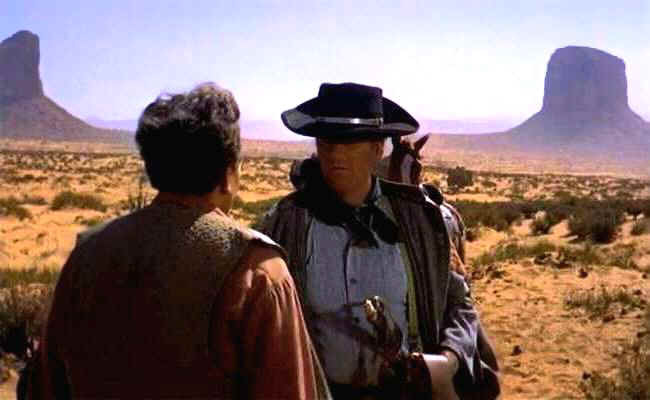 Another small, overlooked film, is the original Monte Walsh, starring Lee Marvin and Jack Palance as two aging cowboys working on a ranch that has just been sold, leaving them jobless. 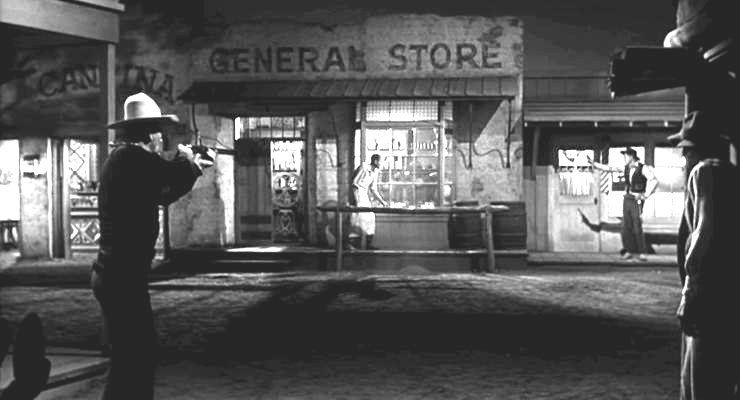 The political overtones about individualism in a commercial world are prescient and the scene where Jack Palance tells Lee Marvin he is going to get married and become a “hardware man” is perfect. 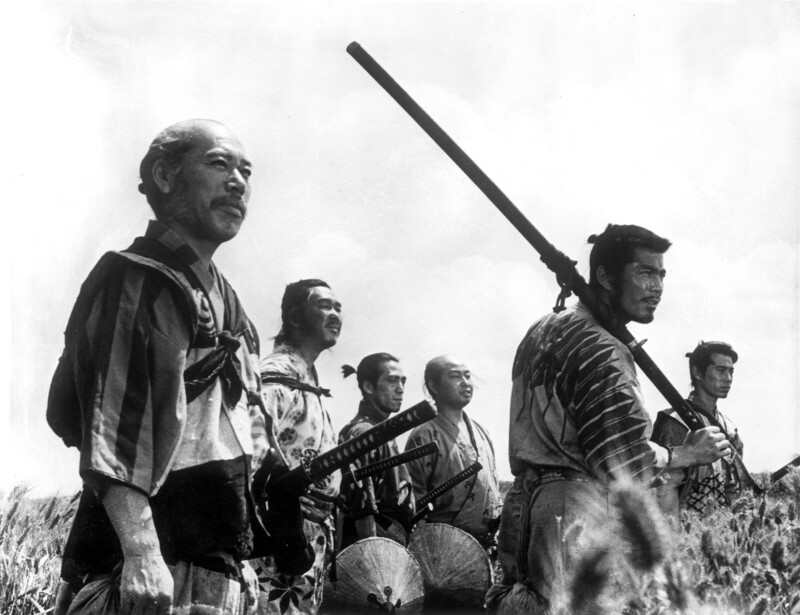 Formerly protectors of Japanese royalty, these roaming, hungry Samurai come to protect a village of poor peasants from local bandits….but of course there is so much more at work in this film by Akira Kurosawa. 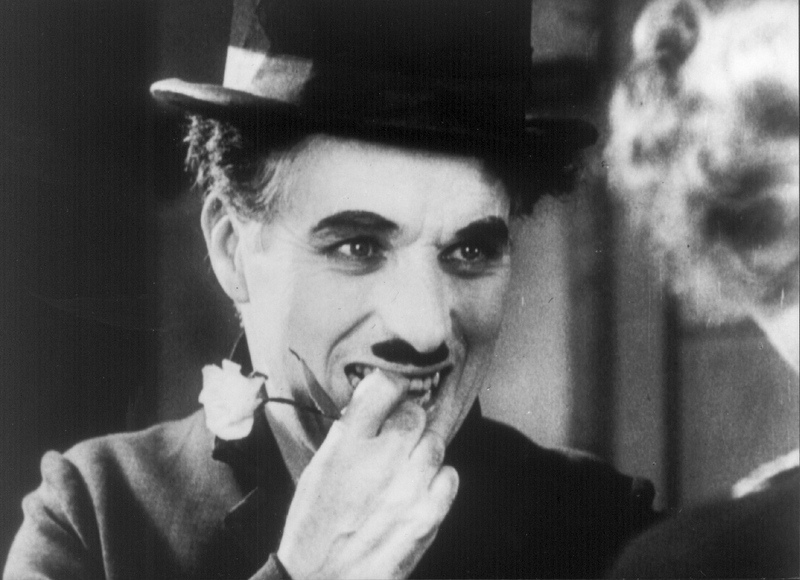 City Lights is my favorite of all the Charlie Chaplin films and combines humor and emotion in a way that just can’t be duplicated. The ending still gives me chills. 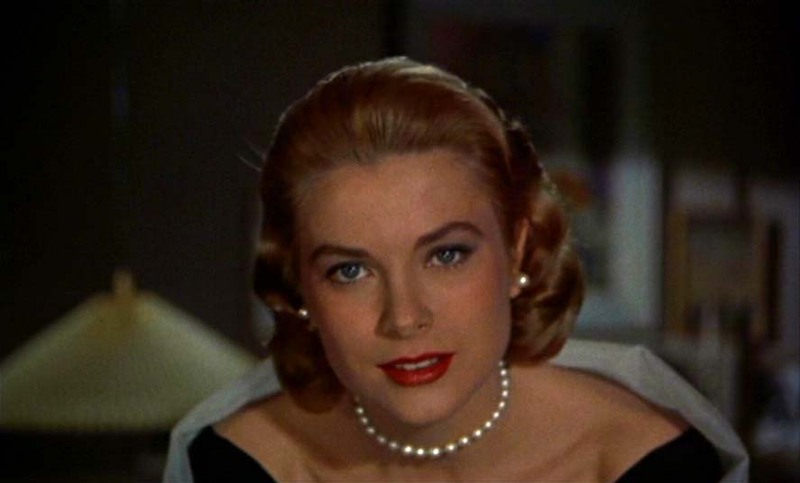 Any film list has to have a Hitchcock and Notorious is it. 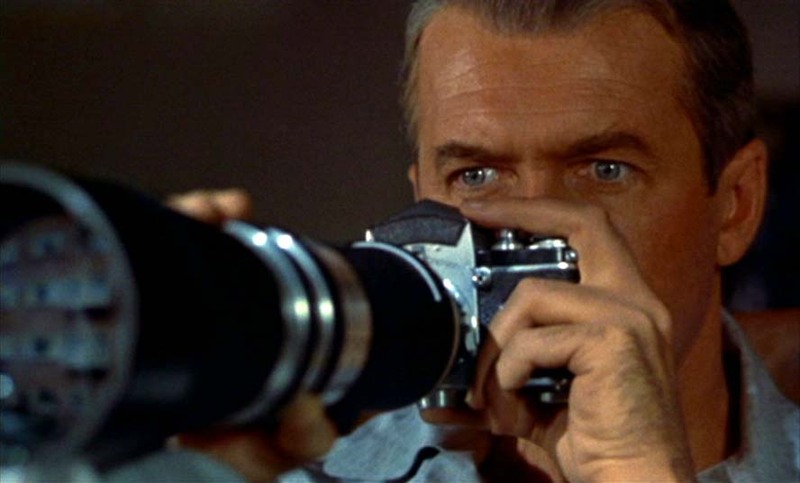 Actually, any list has to have Hitchcock’s Rear Window too. This story line has been copied repeatedly in other films, but none do it as well and this is the original. One of the minor characters in the opening scene appears again at the end, and it is wonderful to see the full circle that Kurosawa creates. 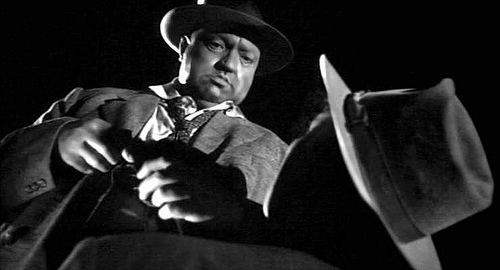 Corruption and power are the themes in Orson Welles’ film that features an opening credit scene filmed in one long amazing shot. 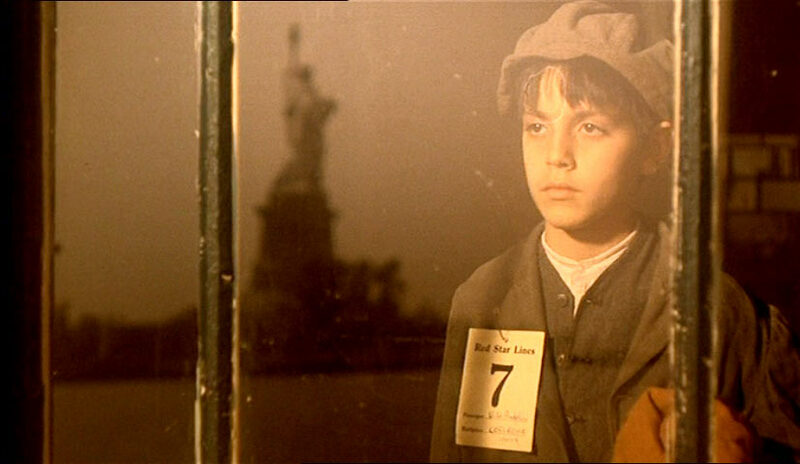 Both of Coppola’s first two Godfather films are much more than gangster films. With themes of lost idealism, corruption and increasing isolation, the two films are perfect metaphors for something much deeper. 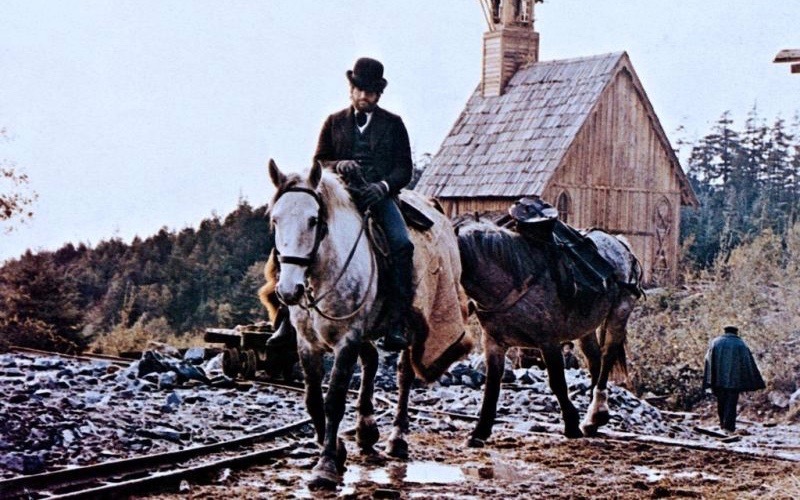 More than a children’s film, the entire first half of Carroll Ballard’s The Black Stallion is told without words. Perfect. David Lean’s Lawrence of Arabia is worth it just for the scene when Peter O’Toole goes back into the desert to rescue the man who has fallen off his camel and given up for dead…as well as the ironic scene that follows. It is written. 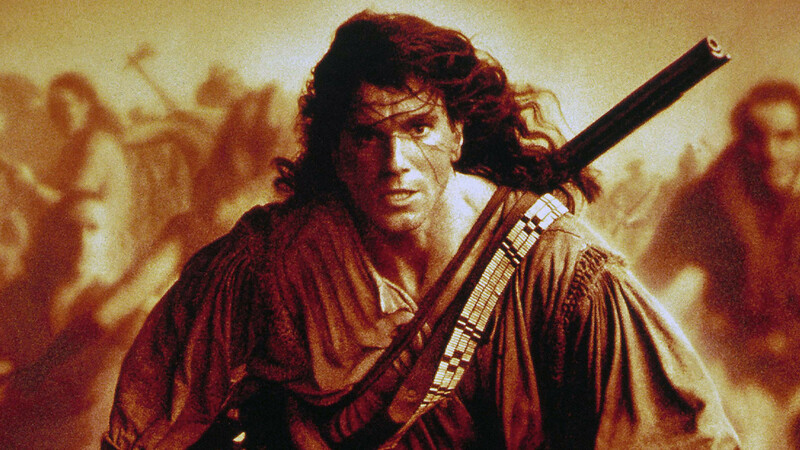 I’m a sucker for period films and colonial history and Michael Mann’s Last of the Mohicans has some great scenes and really stirring music. Visually stunning and with great music, Stanley Kubrick’s film adaptation of William Thackeray’s novel takes its time to unwind and some might find it slow in places. 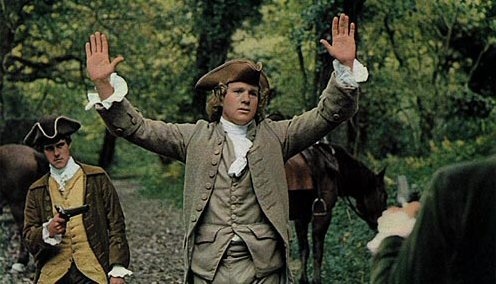 Set during the Seven Year’s war, the film includes a robbery by highwaymen, period costumes and two great dueling scenes. 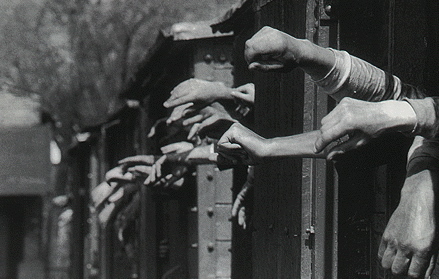 Shot in black and white, Spielberg’s Schindler’s List is faithful to Thomas Keneally’s book and just as chilling. 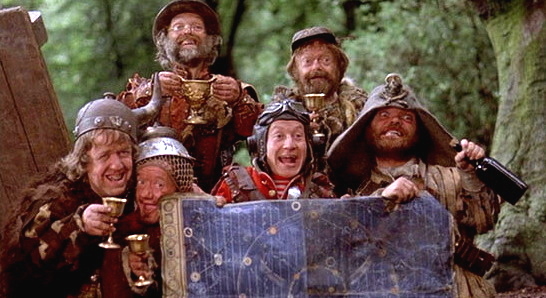 Terry Gilliam’s Time Bandits is a lot of fun as his characters travel through time seeking robbery and stolen treasure…but God is angry when he finally catches up with them and sends them back to making shrubbery. 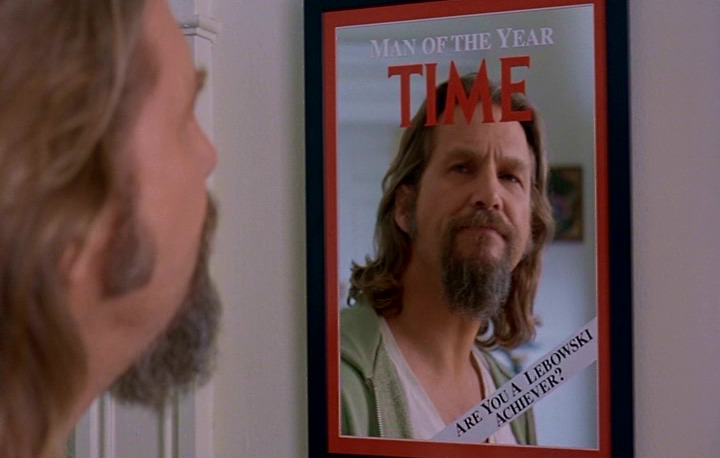 It would be hard to choose just one film by the Coen brothers but The Big Lebowski would have to be my favorite. Foul-mouthed and funny, The Dude just wants to get his rug back… it really tied the room together. 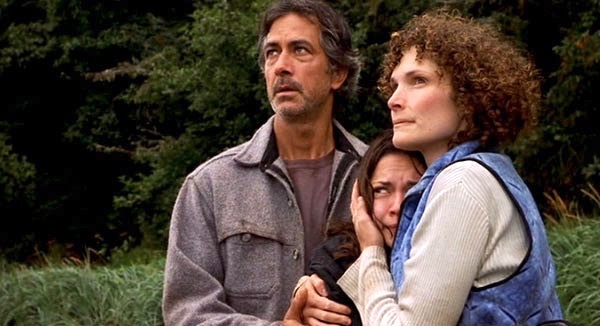 If I had to choose one film by John Sayles, it would be Limbo. It is a multi-layered film about forgiveness, redemption and taking risks. Sean Penn’s The Crossing Guard is another small film about redemption and forgiveness. Jack Nicholson plays a character who has been drinking away his days waiting for the man who killed his daughter in a drunk driving accident to be released from prison…so he can kill him. People seem to either love or hate this film, but I saw it when it was first released and I was moved by the films emotional moments and interlocking story lines. I don’t consider it a political film or even a film about race relations in America. The real story it tells is how the full picture of a person is always more complex than it seems at first glance. 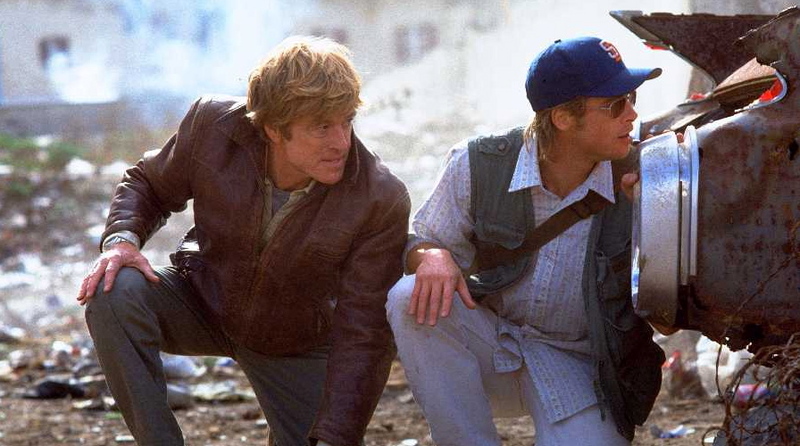 Tony Scott’s Spy Game is witty and smart as Robert Redford plays a man who is being investigated by his own CIA on his last day of work. While avoiding detection, he has to rescue his friend from a prison in China without leaving the confines of his office in Langley, Virginia. 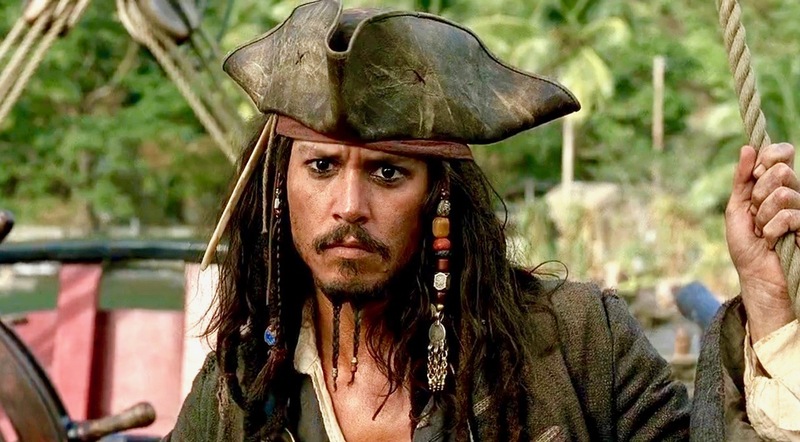 Cute and funny, Johnny Depp as Captain Jack Sparrow amazes from his opening appearance on a sinking ship to his final escape in this first film in the series… and the music is great throughout!